How do I rotate/flip cards? Thanks gamecorpstudio this solve one of my question. 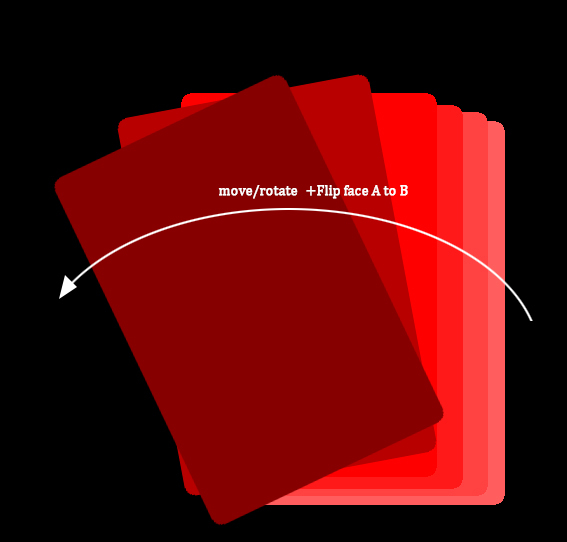 Now if you look the first picture i need at the begining of my game to make the pile of cards rotate a little bit like in the picture how to make that?